Governor Oluwarotimi Akeredolu, SAN, has said that Ondo State is proud to be an agrarian state. 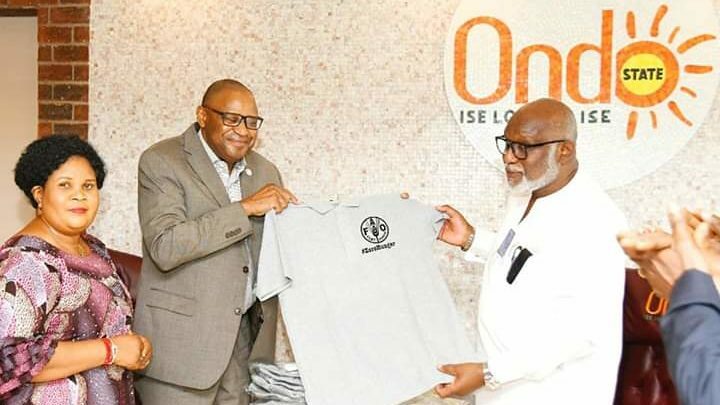 Governor Akeredolu made the statement while receiving the Food and Agriculture of the United Nations , led by its Representative in Nigeria, Mr. Suffyan Koroma in his office on Thursday, 8th November 2018. Mr. Suffyan Koroma commended the initiative of the Akeredolu-led administration in Ondo State in agriculture and his commitment toward ensuring food security in the state.